After searching for your wedding dress, there is only one more item that could possibly complete the bridal look- your headpiece! There are many different kinds, all of which can compliment the dress! You could choose a tiara, and look like a princess on your wedding day, complete with a stylish hairstyle, or you could get a fun and flirty comb. Combs can come with hair adornments such as crystals or feathers, all of which look great with wedding gowns. Another great headpiece idea is to purchase a bridal cap. Bridal caps are very glamorous, and exude class. They only look good with the right gown so keep this in mind while gown shopping, if you have your heart set on a bridal cap. Fascinators can also be used, and have been wildly popular since Kate Middleton wed Prince William in 2011. 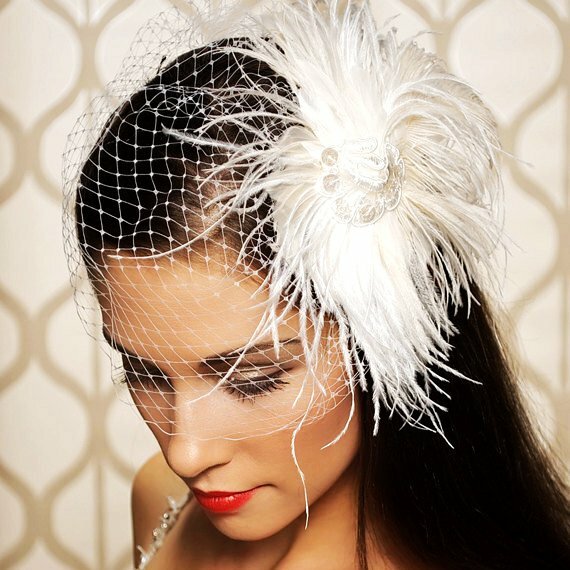 Fascinators can range in price, and can be very intricate. They are very visually appealing, and can be the right addition to your bridal look! When choosing your headpiece, keep in mind if it will look right with your wedding gown. Take a picture of your wedding gown along with you, or purchase it when you go gown shopping. Take your purchased headpiece along with you when going to your hair appointment so that your stylist can play with it in your hair! You want to walk down your aisle in style right? You probably have bought your perfect wedding dress, got the show stopping shoes, and have outfitted the groom accordingly. The only thing left for the ceremony is to get that aisle looking absolutely perfect. 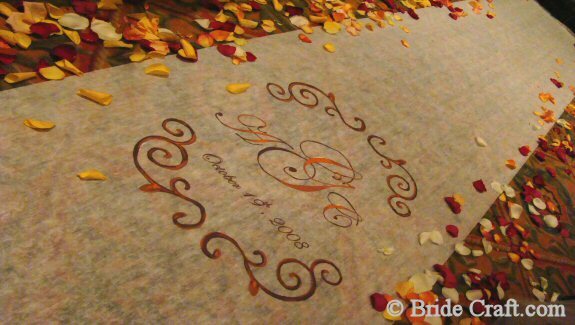 The traditional aisle runner is still a very popular option. Tradition states, that when your flower girltraipsesdown the aisle, she tosses flower petals on her way. While this is still a perfectly acceptable option, more updated and modern approaches to this custom have been adapted. 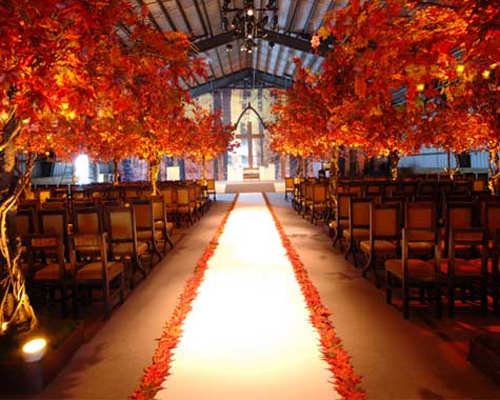 Have you seen the picture of the aisle that is laden with flower petals in a specific design, breathtaking right? How does someone manipulate the petals in that order? Incredible. 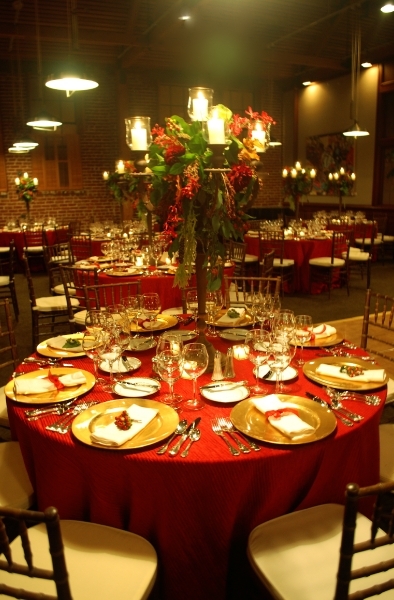 You want to create an ambiance so that when your guests enter, they feel as if they have stepped into your wedding day. When you have a similar design for the ceremony and the reception, you will create a sense of continuity that will look great. Consider your aisle like your runway and illuminate it. Have luminaries available or even mini spotlights at the ready for your big debut. When you walk down that aisle, it is the last time you will be an engaged woman. When you come back, you will be a married woman. Aisle runners can come in all shapes and sizes and are just another part of the ceremony that is screaming for your personality. Consider a custom monogram on your runner or even a printed runner, like a floral design or a famous painting that you as a couple like. Another popular idea for decorating your aisle is to have a custom runner made with either your love story, or even your wedding song. This could function after the wedding as a perfect piece of art in your house. When decorating your aisle, don’t forget yourchairs, they need love too! Consider chair covers in gorgeous fabrics, or even small adornments to make your ceremony special. Amongst all the stress of planning your wedding day, you have two very important members of your bridal party just itching to sprint down the aisle. Keep in mind the flowergirl and ringbearers have a very important job in your wedding day: the keeper of the “rings” and to make way for the bride by use of flower petals. 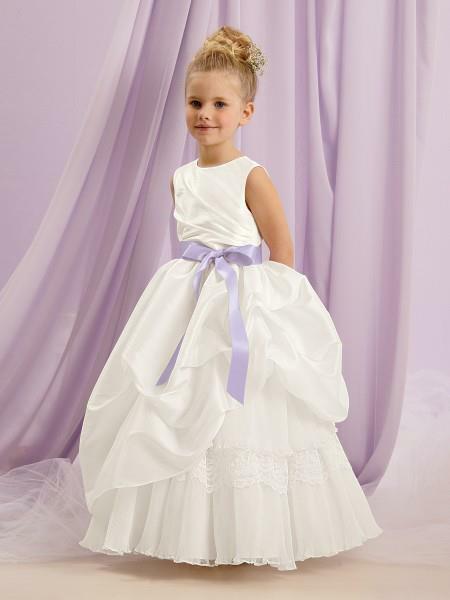 This precious flower girl dress has a floor length skirt of lace and pleated organza ruffles. Many bridal gowns have the same features and now we’ve got the flower girl dress to match! As always, the ribbon sash can be ordered in a variety of colors. Swing by to take a closer look at it! Your flower girl will no doubt be adorable, so consider her dressing the part. Try to find a mini dress to accompany yours, or have one made. It’s always adorable to see the bride and flowergirl in their matching attire. You might consider giving her an unconventional bag instead of the basket that is a more traditonal option. The ringbearer always looks daper in his mini tuxedo, just make sure he matches the groom to a tee. If the groom has suspenders, have the ringbearer get them too. A little fedora hat also goes a long way. You can certainly still use a pillow with fake rings, but consider something a little more updated like the ringbearer carrying a sign saying “Here comes the bride!” This is really sweet and can be used for great pictures. Your guests want to see the adorable ringbearer and flowergirls antics, so be ready for the comedy hour. Make sure that you put their parents in strategic places in the seating, so that if they do get a little rowdy, they can get them quickly. They met in a kissing booth at an art school carnival. after graduating from cranbrook academy with MFAs in sculpture and printmaking, and began collaborating by making gifts for friends. over time their creative partnership has developed into multiple projects including: something’s hiding in here, the original mustache on a stick, seed house stationers, and forage haberdashery. 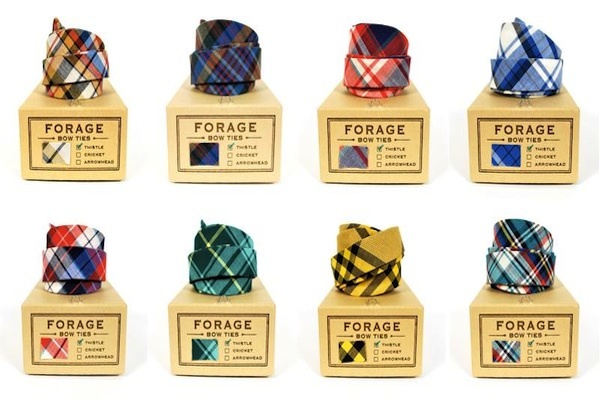 Their very first bow ties were made in the summer of 2010. the name FORAGE comes from our love of hunting for vintage and deadstock fabrics, which keeps their creative process fresh. each collection is hand crafted in limited numbers using cotton fabrics. their packaging is made in the US with recycled materials and hand printed by them. Choosing a theme for your wedding can be a really helpful way of pulling your styling elements together. 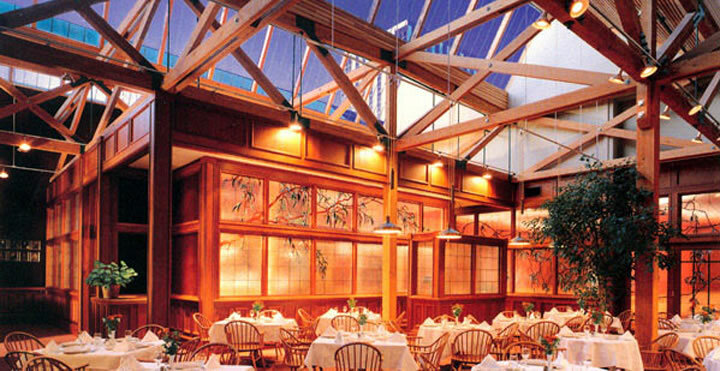 A theme can be as simple as one or two choice colors or a theme which runs through every element, e.g. Pop Art. A theme can be broad, e.g. Literary Greats, or specific, e.g. The Great Gatsby. Sometimes a theme emerges from one simple item like a pair of gorgeous bright blue shoes or a grandmother’s brooch that you want to incorporate into your outfit on the day. A theme may be so subtle the guests are not even aware there is a theme threading the details together, yet it helps you select complementary elements to make for a beautiful and well styled event. 12 wedding planning tips: Tip 6 – Wedding theme. We invite you to check out Kat and Eric’s Wedding Highlights from MVP Weddings HERE. We also encourage you to check out their BLOG as well. We are the owners of MVP Weddings and we partner with other talented cinematographers to create beautiful, cinematic wedding videos and provide a wonderful customer experience for couples. We lived in the San Francisco Bay Area for 13 years and moved to Fresno, CA in the summer of 2011 to be closer to our family. We would be delighted to create a beautiful wedding video with the art of cinema that tells your story. Thank you very much for considering our videography service, and may God bless you and your very special relationship of love and commitment in marriage. What sets MVP Weddings apart from other wedding videography companies? What is the difference between “cinematic” editing versus “documentary style” editing? What is the “Create a Music Video” option? What is a “Love Story”? I’m on a tight budget – what can I do? When will we receive our wedding video? What if we want to change our video after we review it? What is the schedule for paying for the video? Can I use a credit card to pay? Do you do record other types of events (quinceaneras, bar and bat mitzvahs, corporate videos, etc.)? What are your terms and agreement – how do you define “hours of coverage”, what if something comes up, etc.? 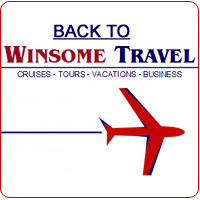 Winsome Travel specializes in romantic travel and will find the perfect package for your honeymoon/destination wedding. We utilize veteran travel professionals to provide expertise and special vacation packages. We offer a free Honeymoon Registry on our website, sign up today! Collect wedding gifts. Have the honeymoon of your dreams! You’ve found the place for the perfect honeymoon or wedding spot! Browse through our sample honeymoon registries for suggestions on all the wonderful items your friends and family can give you as a wedding gift. Design your custom wedding registry from ideas we’ve showcased or include your personalized honeymoon wishes. Create a stunning honeymoon registry and wedding website ~ you’ll be on your way to the honeymoon of your dreams.